We've been thrilled by the feedback from our guests, either from the survey forms we encourage our guests to complete, or from emails and comments we have received on Facebook. 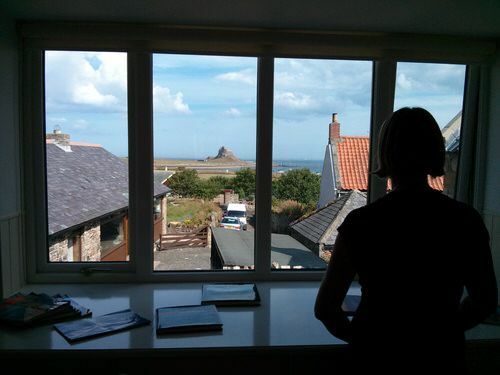 “I have stayed on Holy Island for many years now and feel at last that Coble cottage has provided the standard of accommodation Holy Island deserves.” - Patra C.
“We just came back from an amazing week away at Coble Cottage. The whole family totally loved it, and we all felt completely at home pretty much from the moment we arrived. The extra family-friendly touches were really appreciated, and it is easily the most well thought out, and well finished holiday accommodation we have ever visited. “I would like to take this opportunity to thank you for all your help towards our stay at Coble Cottage in Holy Island. The cottage was amazing and finished to a very high standard. I particularly appreciated how toddler friendly it was which made my personal stay very relaxing and enjoyable. It was my Father's 60th birthday while we were there and he mentioned afterwards that it was the perfect way to celebrate his birthday, the cottage was the perfect size and location for a group of family and friends. Everything about the cottage was a pleasant surprise including the welcome pack. 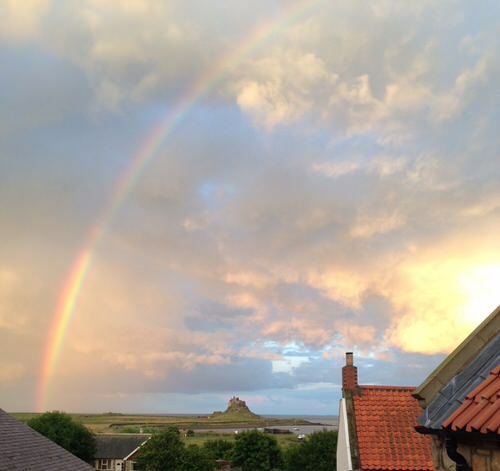 “We have visited Holy Island many times before and at different times of the year, and the Northumberland coast has been a favourite destination for family holidays for many years, so we were quite expecting the spectacular views, historical sites and beautiful seascapes. But, the superb accommodation and comfort we experienced at Coble Cottage made the visit all the more wonderful this time. We had arrived in an arctic blast, so the warmth and wow factor of the well designed accommodation was very welcome. From the amazing American style fridge (which we filled!) and the practical workspace of the gorgeous kitchen, to the comfortable and beautiful social areas, the high spec bathrooms and high quality bed linen, to the obvious thought and care that had gone into providing every convenience and luxury, we were able to entertain and provide for our family and friends in a way that would have been impossible elsewhere. We will certainly return and many of our guests too!